This page you'll find some Lenovo Mobile Service Manuals PDF above. Chinese manufacturer of a variety of ready-made computer systems - desktops, laptops, netbooks, nettops, tablet PCs, smart phones and PDAs. Included in the top five PC manufacturers. 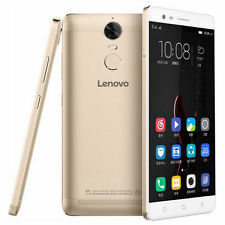 Founded Lenovo in 1984, he and his associates founded the company with a fairly banal name of New Technology Developer Inc. Financing took over the Chinese Academy of Sciences. Initially, the new company is mainly engaged in the supply of computers in China, as well as their adaptation to the Chinese characters. In 1986 the company changed its name to the more extravagant Legend Group. By the early 90-ies of the last century, Legend matured and before the release of its own model of the PC. Two years later came the first company laptop. In 1996, the first server is created. Generally, the 90 years of the 20th century - a period of rapid development of the company. From little-known vendor, Legend is converted first into a leading supplier in the entire Asian region (in the future and the Pacific), and then in one of the largest computer manufacturers. In the new century, the range of products is expanding even more. There are both ultra desktops and supercomputers. Legend is prepared to enter the international market. One element of this training is becoming and change of name to Lenovo. According to the version presented on the Internet, this name comes from «De Novo», which means "new beginning - no links with the past", but what a change "De" to "the Le" (the first syllable of the old name) looks quite logical solution. The name, by the way, turned out to be very successful. 2005 became a landmark for the company - Lenovo buys IBM's division dedicated to the manufacture of personal computers. The deal amounted to 1.25 billion US dollars. The first systems with Lenovo logo out on the market a year later. Mindful of the fact that these computers are descended from IBM, the market received them graciously. Equally loud transaction served as an excellent advertisement for Lenovo, and was a good springboard for a leap into the turbulent waters of the international market. According to the deal, the company can use the IBM brand until 2010. But the right policy for the gradual promotion of its own brand, has brought good results. I tried over the company and in the market of smartphones and communicators. However, in early 2008, the unit Lenovo Mobile Communication Technology was sold to Hony Capital. 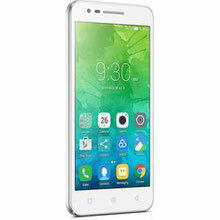 Lenovo does not quite firmly standing on their feet and mobile business only slowed down its development. 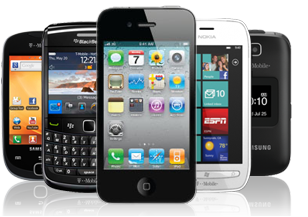 However, in late 2009, mobile business was bought back. The company's headquarters (the full name of Lenovo Group Limited) located in Morrisville, USA. Just two hubs are located in Beijing, China and Singapore. There are also research cents. Production facilities are spread across the whole world. Read - BLACKBERRY Smartphone Manuals PDF & History.